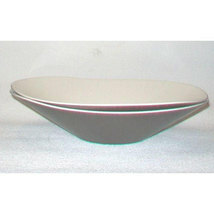 A set of Modernist melamine dishes set in matte chocolate brown and cream colored with a super cool asymmetrical form. 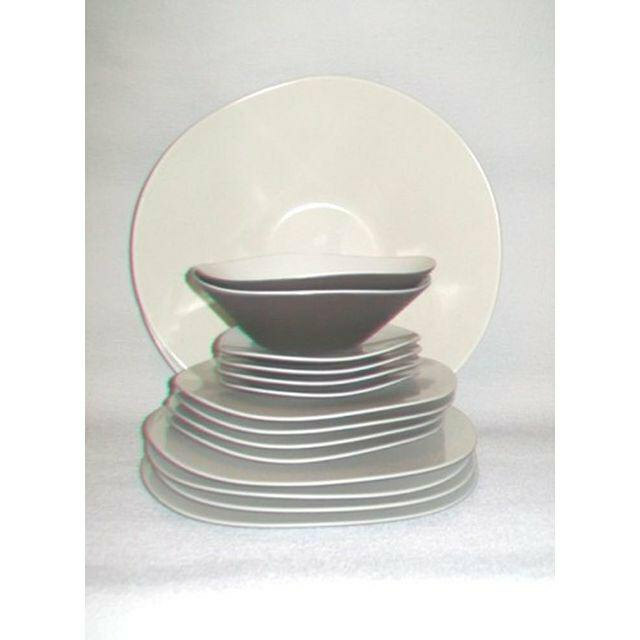 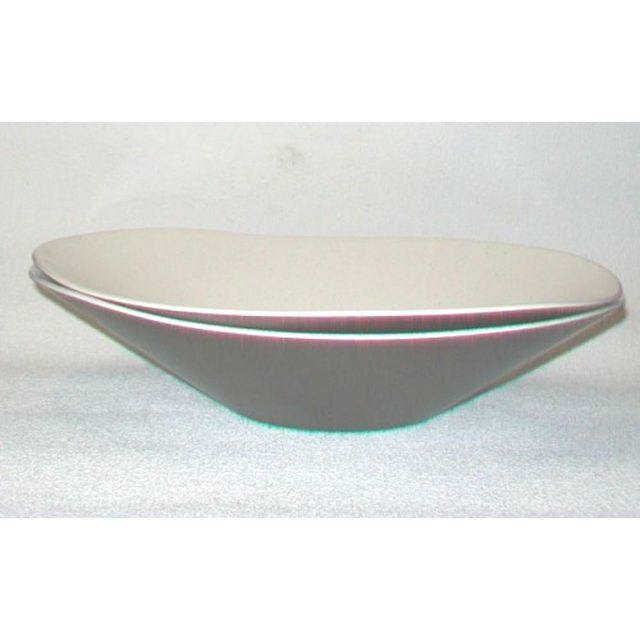 These vintage melamine dishes are made by Umbra in the 1980's/90's era and the set consists of the following pieces: (4)-Large Dinner plates (4)-Medium Salad plates (4)-Small Bread plates (2)-Soup Bowls (2)-Huge Serving Bowls-about 14 1/4" X 14 1/4" All pieces are in good condition with little signs of use. 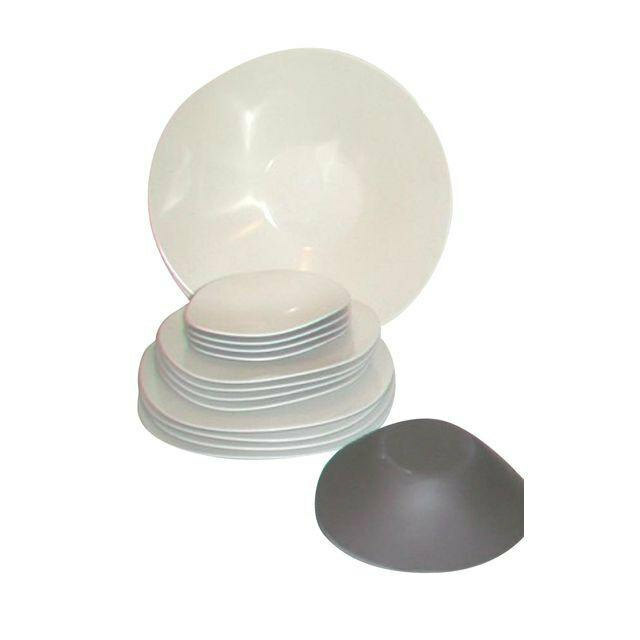 Dishwasher safe on the top shelf (but hand wash is recommended), not microwave safe. This is a great set of modernist dishes for everyday use with a lot of "Look". Great if you want to use cool dishes but have kids, perfect for patio dishes or by the pool and for picnics.